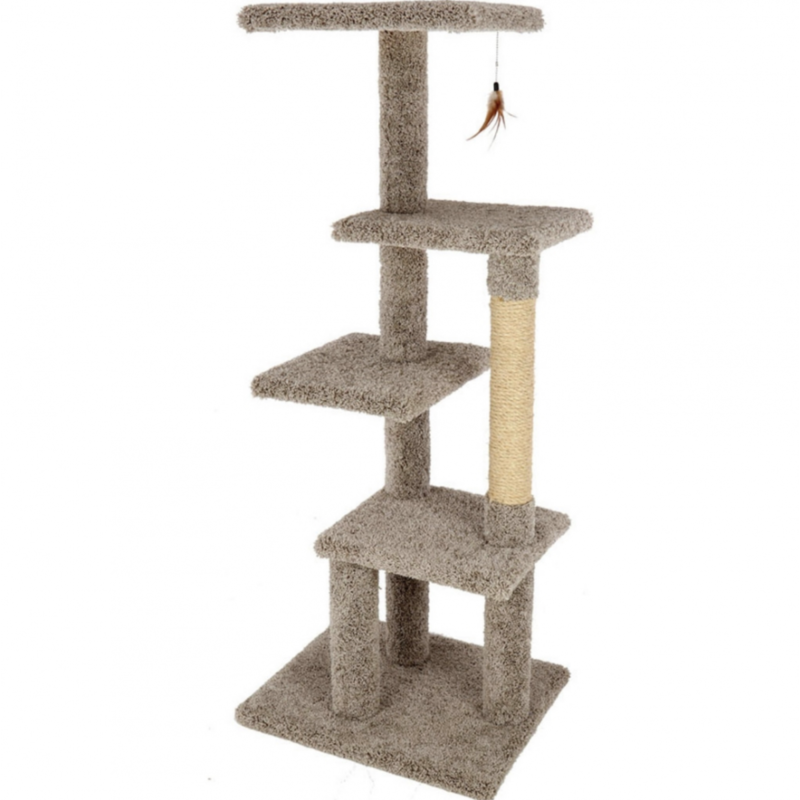 This cat gym offers plenty of room with its 62" height. 4 staggered tiers allow cats to climb up and down with ease. An added sisal scratching post provides a space for your cat to scratch and stretch. 24" x 20" x 62"